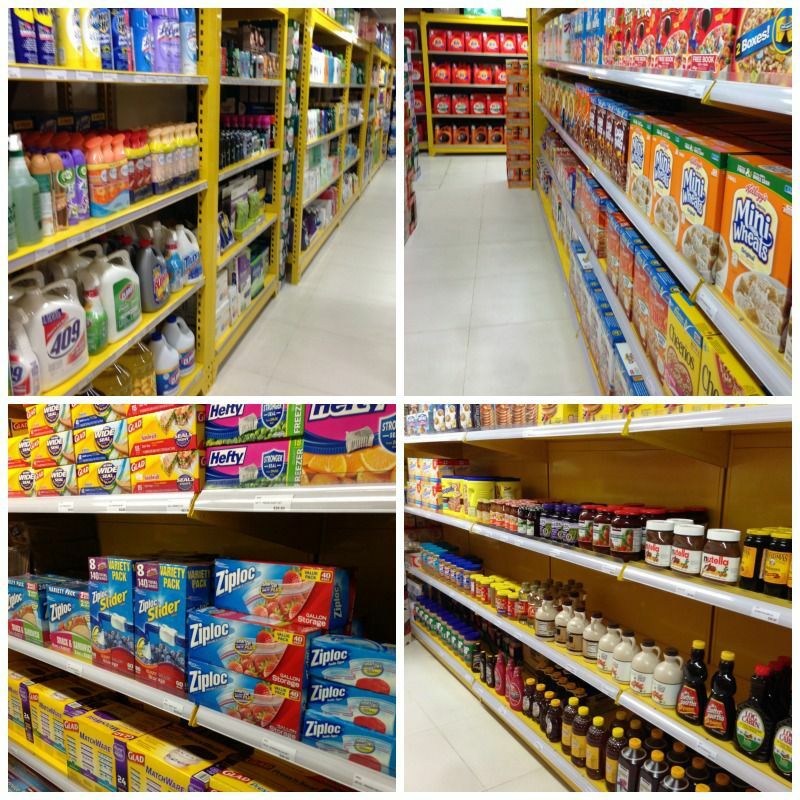 Gateway Supermarket… New and Improved! Last week I ran by Gateway Supermarket in Sheung Wan to pick up some cleaning supplies. When I arrived, I immediately noticed the bright yellow walls leading down to the basement had been painted white. I also couldn’t detect that weird smell that typically hit me as I approached the front door. Was I in the wrong place? After going back up and confirming I was in fact heading down the right basement, I continued back down only to find the store was empty! As in NO MO JIFFY PEANUT BUTTER! Even though I wasn’t planning to buy peanut butter, when I saw the store empty it was the only thing that hit my brain. Needless to say, I left a little pissed and confused because 1) Gateway Supermarket was my go-to store for as long as I could remember. What was I going to do now? 2) I had to return home without any cleaning supplies, which meant that long soaking bath wasn’t going to happen, and 3) Why was the door open?? All better now, because after a little research I uncovered Gateway actually moved to a bigger and better location. Yeah! They’re no longer in that stinky-smelly, weird fluorescent-light-buzzing sound, bright yellow basement, that if not for the goodies in my cart would have otherwise DRIVEN ME COMPLETELY CRAZY with each visit! The new location offers a much better shopping experience on the 2nd floor of the Unicorn Trade Building, while still offering free home delivery of purchases over HK$ 850. If you’ve been looking for those hard to find American brands, I highly recommend you visit the new Central Gateway. Just don’t touch the peanut butter and jelly section. For a complete beginners guide to Hong Kong… according to me, check out my original post here. I visited the new A&M US Groceries Central location. Compared to the Stanley location, the assortment in Central is much smaller and more expensive. After visiting both Gateway and A&M the same day, I found Gateway almost 30% less expensive. That being said, I still suggest checking out both stores as they each offer items the other doesn’t. Thanks Mary for checking out my blog! I suggest A&M for a better selection of health and beauty products. Happy shopping! Great post! Any idea whether they have Gold Medal flour at Gateway? I’m glad you found my post helpful! I’m not so sure about GM Flour, but I will say if anyone has it in HK, Gateway or A&M would! In fact, I find A&M more baker~friendly.